You can log into your Quickworksheets account on multiple browsers at the same time. 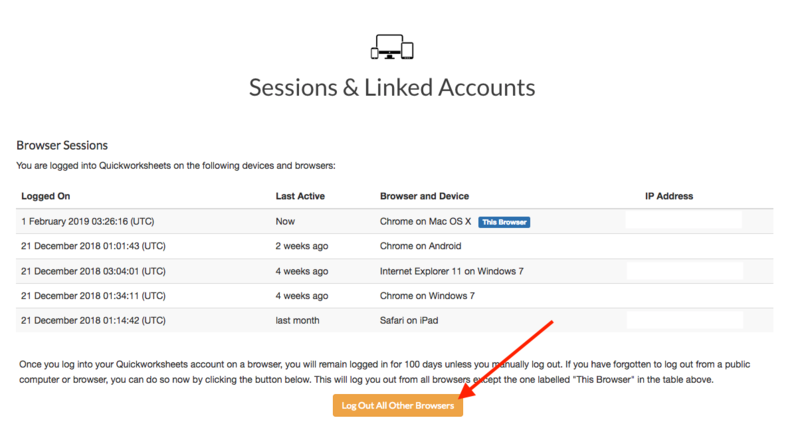 To see which browsers are currently logged in to your account, check the Logged-in Sessions page. If you forgot to log out of a public computer, or if you do not recognise any of the sessions you can remotely log out all other browsers by using the orange button at the bottom. Copyright © 2010 - 2019 Quickworksheets. All rights reserved worldwide.